If you have a blog or website, it’s important to understand the importance of Search Engine Optimization (SEO). The key to SEO is understanding how search engines view your website. Search engines are amazingly powerful and sophisticated pieces of machinery but they can’t interpret and understand a website in the same way that human’s can. SEO is what helps search engines “see” your website so that they can know how your information might be useful to people. Understanding SEO is vital in improving your search engine rankings. 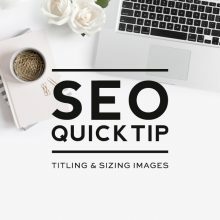 Because SEO is so important, we are starting a post series called “SEO Quick Tips” where, every few weeks, we’ll be giving you a quick SEO tip that will help give your search engine rankings a boost. Today’s focus: page titles and meta descriptions. 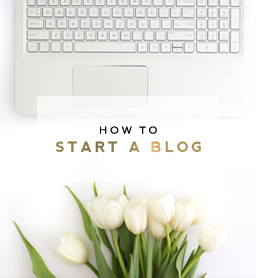 Log into your Blogger Dashboard and go to Template > Edit HTML. Click anywhere inside the code area and press CTRL + F to open the Blogger search box. 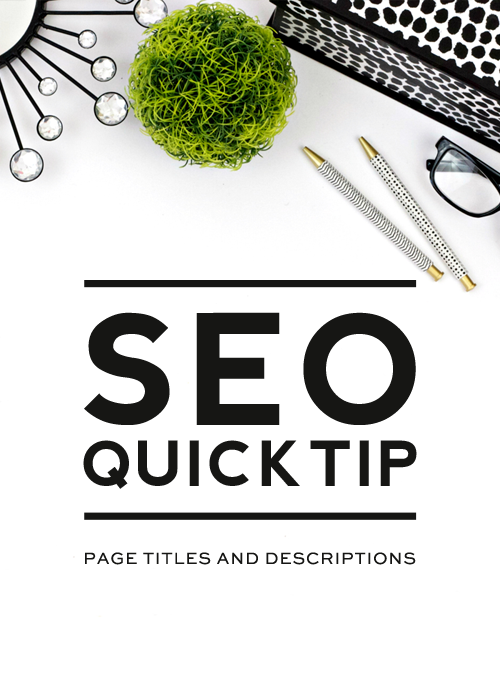 Click save and all of your past and future post and page titles will automatically be SEO optimized. Make sure you have the latest version of the Yoast SEO plugin installed and activated. 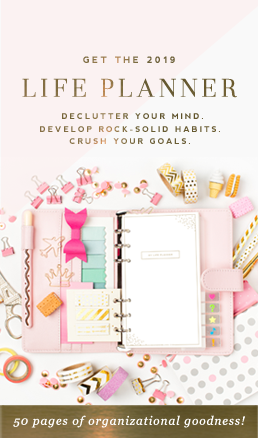 Navigate to the post you want to edit the title on either by editing an existing post or creating a new post. 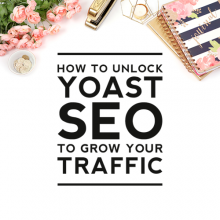 Scroll to the bottom of the page until you find the Yoast SEO section. 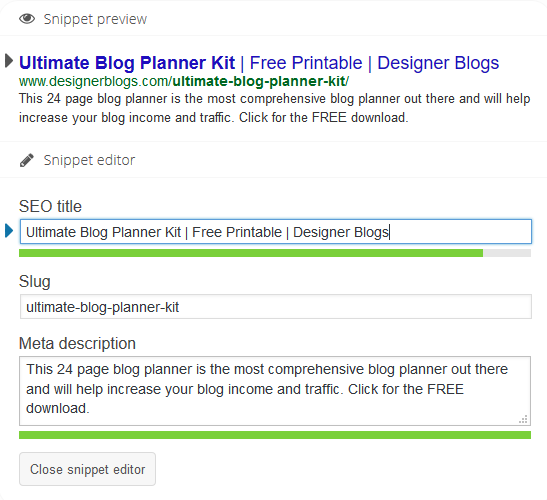 The Snippet Editor will show you a preview of how the page will be displayed in search results. 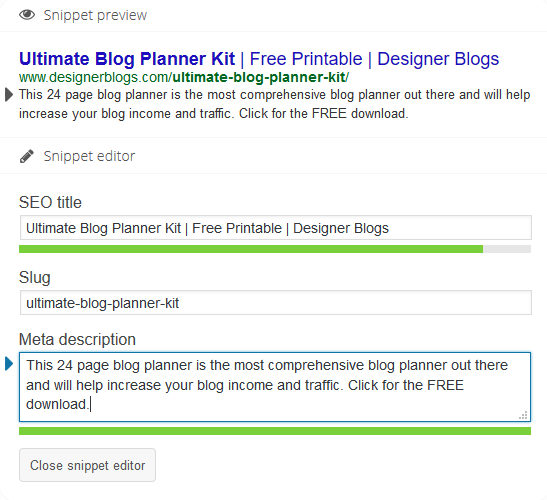 Click the Edit Snippet button and in the SEO Title area type in your title. Then click Update or Publish to save the changes. Although meta descriptions do not directly affect your search engine rankings, they do increase the likelihood of people clicking through to your site, which will indirectly improve your rankings. If you leave your meta descriptions blank, then Google will pull content from your page to display as the snippet. If you want control over what descriptions are displayed, then it’s wise to write up your own descriptions. On your dashboard go to Settings > Search preferences > Meta tags > Description and then click the Edit link. Then select Yes. This will open a little box that will allow you type in a meta description for your site. Be sure to save the changes. After you’ve completed step 1, you’ll now see a search description option on the right side of your post or page editor (Note: this will only appear after you’ve completed step 1). Click on Search Description and it will open a box where you can type in the meta description for that page or post. Click Done when you are finished. Do this on all past and future posts and pages for best SEO. 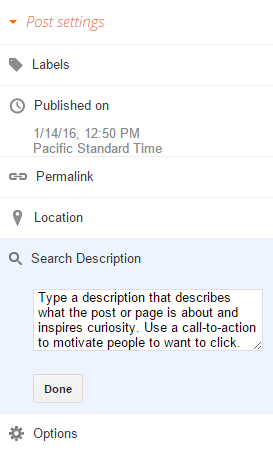 Navigate to the post you want to edit the description on either by editing an existing post or creating a new post. Scroll to the bottom of the page until you find the Yoast SEO section again and click on Edit Snippet. This time, edit the meta description. Then click Update or Publish to save the changes. Questions about anything not covered in the post? Leave them in the comments and we’ll do our best to answer. Thanks for your feedback Lauren! SEO is endlessly evolving, so it’s always great to hear additional opinions on the matter. I’m sure our readers will appreciate having your thoughts to consider as they work on their SEO. Thanks for sharing. Thanks for those tips! Some of them were new to me and useful. You got a very useful SEO tips over there Erin,you discuss it in a simple and easy way, and credit to Ms. Lauren for sharing her opinion. We consider all kind of thoughts for the improvement of SEO. Thanks, Roy! 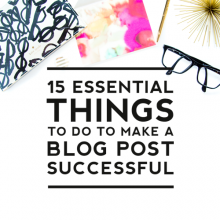 Always happy to help fellow bloggers/small business owners advance their SEO strategy! If anyone’s looking for an SEO Sensei, I’m more than happy to help. Suppose I have published a post. Then I realized that I should edit my post title and description. Should I update it or not. As long as you keep your url the same as it was previous to editing the post title, then you are fine to update it. If you decide you want to change the url for the post as well, then it would be wise to set up a redirect so anyone that tries to visit the old url will be automatically redirected to the new url rather than landing on an error page. It will also help your SEO carry over from the old url to the new url. You can find a good redirection plugin here: https://wordpress.org/plugins/redirection/. Hope this helps! I absolutely could KISS you for this post! Thank you so much! Thank you for the screen caps of YOAST SEO. I use it and try to do my best with keywords, slugs and meta but I don’t always understand exactly how it works. I like the call to action suggestion and using “pipes” to offset key word phrases. Very helpful! With the way SEO has changed over the past 12-18 months, I’d generally steer clients away from multiple keyword phrases with pipe separators. Google has become far more concerned with a topic led approach and using natural langauge (Particularly as voice search continues to grow massively). So it’s better to concentrate on having a natural sentence containing your keyword or phrase, and only use the separators for your site title at the end if you think it’s necessary on every page. Thanks for the steps on SEO but my issues is that i tried searching for this “” in the edit html as directed by you, but i can’t find this specific code. I will be grateful if i could get a prompt reply, thanks. It is possible that you are using a custom theme which has this code written in a different way.